A Must-Stop Near Glacier Park! The Crown of the Continent Discovery Center can help you find the perfect way to explore, enjoy and engage your surroundings in beautiful Northwest Montana! Welcome to the Crown of the Continent Discovery Center! Watch Video: Inside Look at our Venue! This one-stop-shop near Glacier National Park is famous among tourists and locals, here’s why! 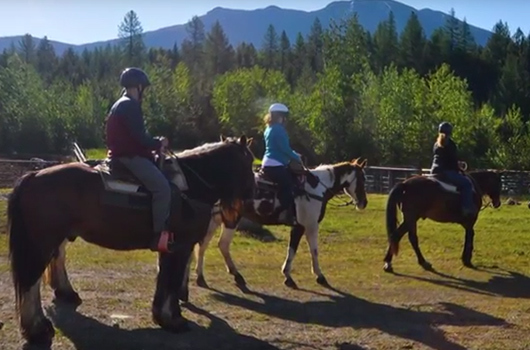 Cowboy Cookout Trail Rides, Montana Style! The Crown of the Continent Discovery Center is located at 12000 US Highway 2; just a mile and a half from the west entrance to Glacier National Park. We have a coffee & spirits bar, ice cream parlor, gift and outdoor gear shop, information and activity booking center and horseback riding corral trips available on the property. Additionally, we are surrounded on all sides by business partners that offer helicopter tours, hiking, fishing, whitewater rafting and lodging, making the Discovery Center the ideal one stop shop for your Crown of the Continent adventure vacation! 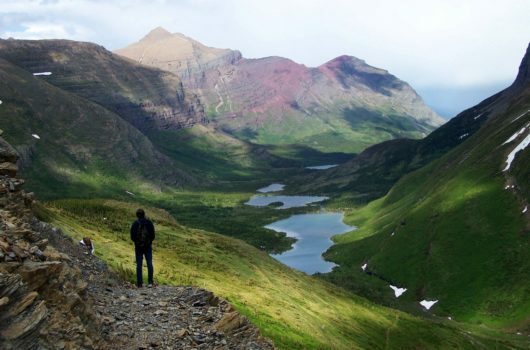 If you’re looking to explore the Glacier National Park, it’s important to know that the Crown of the Continent Discovery Center is committed to the Thirteen Principles of Geotourism in an effort toward enhancing the area where we live and work. We aim to tell the whole story of Glacier National Park and the Crown of the Continent region in an effort to connect you with valuable resources and others that contribute to the Crown of the Continent project. The Crown of the Continent Discovery Center is a place that brings people together and serves as a vehicle for educating visitors, promoting visitor experiences and the protection of Glacier National Park and the surrounding region’s distinctive values. From small families to large bus groups, vacationers interested in geotourism, adventure based trips, area amenities and information need look no further. Our personal attention to each guest, along with our deep knowledge of Glacier National Park and the surrounding area, will ensure the best vacation experience possible! View a video introduction to Glacier National Park and the Crown Of The Continent Discovery Center. 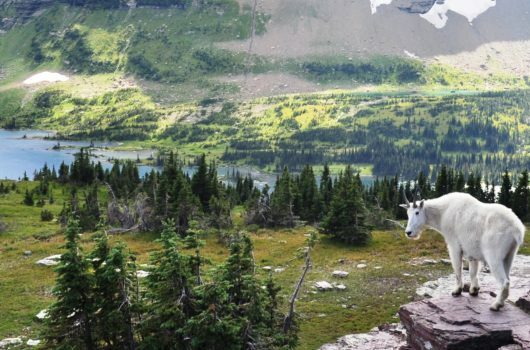 Find out what's new here at the Crown of the Continent via Glacier National Park Conservancy.